The so-called “vexatious requestor bill,” which enables Hawaii government agencies to deem those repeatedly asking for government records as “vexatious” so the agencies don’t legally have to respond, was signed into law by Hawaii Gov. Linda Lingle on May 12, 2010. Her signature was no surprise since it was her administration that requested the legislation. But the controversy over the legislation has made headlines around the nation. SB 2937 CD1, was introduced by Democrat lawmakers on the Republican state administration’s behalf to prevent the Department of Health, the Department of Attorney General, the Office of Information Practices and Department of Human Services from being legally obligated to respond to the public’s requests for Obama’s birth certificate and other related presidential birth record information. Some lawmakers and journalists have expressed concerned about the law’s impact. Sen. Sam Slom, R-Hawaii Kai, was the only Hawaii Senator of 25 to vote no. Slom says the bill gives too much authority to bureaucrats who are getting paid to provide information to the public. Sen. Les Ihara, D-Kaimuki, surprised open government advocates when he supported the bill, because he has introduced several transparency measures during his extensive legislative career. Ihara, who could not be reached for comment today, earlier said he had some concerns but generally supported the bill to protect the state workers from repeated “birther” requests for Obama’s birth certificate. Spokesperson for the Hawaii State Department of Health, Janice Okubo, maintains the law is needed. She says 5 to 10 hours a week, she and her fellow state workers answer repeated demands from people outside of Hawaii seeking copies of President Barack Obama’s birth certificate. Official documentation, she points out, that the health department has on file but is not authorized under Hawaii law to release to anyone except the president himself or someone in his immediate family. The health department has a canned response letter and informational Web page to distribute to “birthers” who want proof that Obama was born in Hawaii and not out of the country. Okubo also can refer callers to Obama’s own Web site, where he posted what he says is his birth certificate. Okubo’s official health department response does not include a copy of Obama’s actual birth certificate or confirmation that what Obama posted on his Web site is an authentic birth certificate because that is private information. 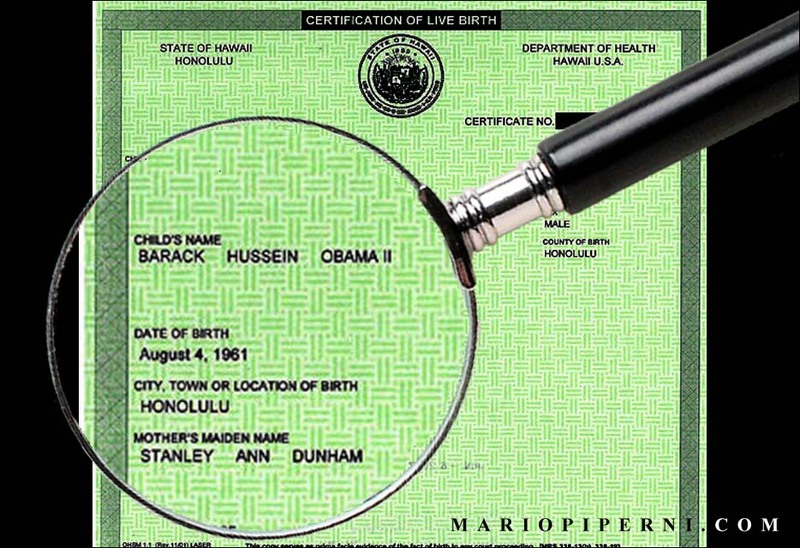 She also cannot confirm whether Obama’s birth certificate was filed the day he was born because that is confidential, but she says that Kapiolani Medical Center has confirmed his birth there on the hospital Web site and that it would not be unusual in 1961 before electronic records, that the filing would be delayed up to three days at the Department of Health. But her response does not satisfy everyone. The health department gets follow-up requests as does the state Office of Information Practices, the attorney general and the Department of Human Services. With that vexatious designation, the local government could legally ignore public information requests from anyone they believe has requested information too often or asked too many questions. Okubo maintains that she isn’t opposed to answering questions or providing information to journalists or citizens who have “reasonable” requests. But there are three or four people who keep asking for information and don’t stop, even when the department gives them most everything they request, she says. Malia Zimmerman is the editor of Hawaii Reporter and producer/host of the television show, News Behind the News.